Found 9 file extension associations related to PhotoImpact X3 and 8 file formats developed specifically for use with PhotoImpact X3. Combines full-featured photo editing with inspiring photo projects and amazing digital art to make digital photography and image creativity fun, fast and easy. Easy and Fast ExpressFix Mode. 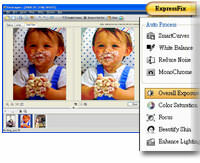 The PhotoImpact X3 software seems to be old or discontinued. If you need more information please contact the developers of PhotoImpact X3 (Ulead Systems), or check out their product website.